This is a very brief summary. Click on the highlighted links below for details. July 2015 – A vote was taken, and it was decided that the club picnic will not be held this year. In substitution, the club will host a “Fall Fun Get‐Together/ Tournament”. Dates for this event will be around the first weekend of October. For the club’s August meeting, Steve Farrar graciously will be returning to put on a fly tying presentation which had to be rescheduled due to the power outage meeting back in May. For the club’s September Meeting, we welcome a beach buggy guru from a local beach buggy association to share knowledge on 4 wheeling the NJ shoreline. 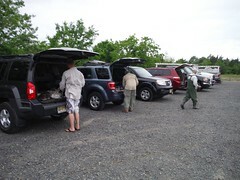 WILD NJ hosted by the NJDEP is booked. September 12th & 13th 2015 at Colliers Mill. A tent and chairs will be available to the club. June 2015 – Junes meeting was held on the beach in Port Monmouth beach. 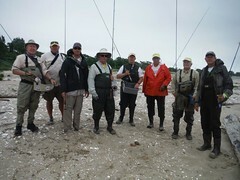 Guest speaker was Andrew Moy on Tight Lines Fly shop. No notes taken as we were to busy learn how to cast Two Handed fly rods. 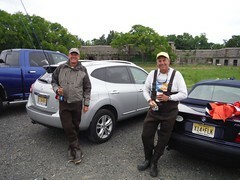 May 2015 – In June, the club looks forward on welcoming back Andrew Moy, of Parsippany based Tight Lines Fly Fishing, for a “On The Water” demonstration of twohanded/ spey/switch rod casting. This is a must see as Andrew’s skills are impressive. Due to a power outage that impacted our May meeting, the presentation by Steve Farrar will be postponed until July. Cape Cod trip dates this year are centered around the first week of June. The cape offers unlimited opportunity to catch both quality & quantity fish (striped bass) from shore with a fly rod. April 2015 – At our May meeting we look forward to welcoming back Steve Farrar and his fly tying talents for a fly tying demonstration as the spring season of inshore saltwater fishing heats up. In June the clubs looks forward on welcoming back Andrew Moy, of Parsippany based Tight Lines Fly Fishing, for a “On The Water” demonstration of two‐handed/spey/switch rod casting. This is a must see as Andrew’s skills are impressive. March 2015 – The club’s annual dinner will be held at The Channel Club in Monmouth Beach, NJ on March 29th. It will be a 4 hour buffet with salads, entrees, wine, beer, and a DJ. February 2015 – Surf Day will be held February 21st at Brookdale Community College in Lincroft,NJ. $10 admission. Seminars, tackle and gears sales. The club’s annual dinner will be held at The Channel Club in Monmouth Beach, NJ on March 29th. 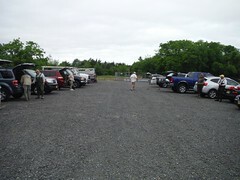 Stephen Fauer is welcoming members of the club up to his place at Rivers Bend East Branch in Catskill, NY to do some trout fishing. The dates are May 15th – May 17th, Friday to Sunday. Effingers (513 W. Union Ave. Bound Brook, NJ) has announced its fly tying material sale. Club members already get a 10% discount, and until the end of February, an extra 20% discount will be added to all sales on fly tying materials only. January 2015 – Dues are now due for the year. Bayshore Saltwater Flyrodders is on Facebook. Log on to Facebook and click “Like it” you will be linked in to the clubs reports and member discussions. The more we use it the better and more fun it will become. Share photos, reports, funny stories, etc.. Enjoy! Thanks to Kenny Ecklund for the support! The Fly Fishing Show at Somerset Doubletree will be held on January 23rd, 24th, 25th, 2015. The Father Time organization is holding an event in Keansburg January 25th. 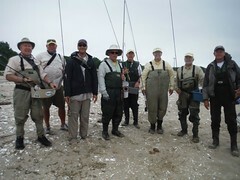 BSF members plan to participate in the event again with a table doing a fly tying/ fishing demo. HI Mar Club will be holding their fishing show February 14th. A the The Fort Monmouth VFW. December 2014 – Voting took place at this meeting and new officers have been decided. Start tying flies for the January Show. We need primarily freshwater and flashy, eye catching, big, saltwater flies. Looking for flies that are 12″ or bigger. November 2014 – Officer nominations were held at this meeting. Voting will take place at the December meeting. On November 14‐16th ASWF will have there saltwater Fall Classic down at Island Beach with a hospitality suite at Island Beach Motor Lodge. Go to their website for more info. ASWF.info. Our Holiday Party will be held during our December meeting Wed. Dec. 10th. October 2014 – Elections this fall!! Nominations at the Nov meeting, voting at the Dec meeting. 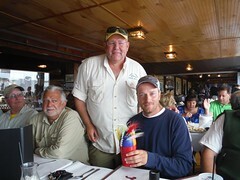 Atlantic Saltwater Fly Rodders will have Blake Chocklett do a presentation on October 14th at 7:30. More ifo goto www.ASWF.info . On November 14‐16th they will have there saltwater Fall Classic down at Island Beach with a hospitality suite at Island Beach Motor Lodge.Go to there website for more info. January 2011 – Club dues are due now in order to get your ticket to the Fly Fishing Show, CPR Crash course sometime in February. The club is still looking for a place for the Spring dinner, any ideas let Robby know.Fly Fishing Show &nbsp;this month the 21st through the 23rd. Father Time event Saturday, the 22nd from 9am-12pm at the Bolger School in Keansburg if you’re interested in helping out contact Robby at captfysh@aol.com. Club dues are due by the January meeting, your paid membership gets you a ticket to the Somerset Fly Fishing show.CPR course is in the works for after the holidays. We’ll be having a tying meeting on 12/29 to tie flies for the Somerset show. November 2010 – Dues are due, if paid by January meeting you get a ticket to the Somerset Fly Show, Looking for dates for CPR Crash Course, Start tying flies for the Somerset show. October 2010 – Bob Cohen is doing better, David Bucko is looking for volunteers to help with Wounded Warriors, the club is trying to put together a CPR class to help get our member certified, Watch your emails for a fun trip on the Eagle, We took nominations and will vote on them at the November meeting. September 2010 – Club picnic was cancelled &nbsp;due to too many conflicts with members we’re looking to reschedule sometime in October. Waterfront Day is September 18th at the beach by the ferry lot in Atlantic Highlands.